British Prime Minister David Cameron says he is “convinced” he can mend the relationship between Britain and the EU, as pressure grows to call a referendum on UK membership. Speaking at a Downing Street press conference with German Chancellor Angela Merkel on Wednesday, the prime minister said the EU needs to be reformed, although he expressed his support for remaining in the common market. Merkel also said she wanted the UK to be “strong and successful” in Europe, and supported the PM’s proposals to limit state benefits to EU migrants, one of his key election promises. The two leaders held talks on EU reform and the situation in Ukraine, although events were overshadowed by Wednesday’s terrorist attack in Paris. 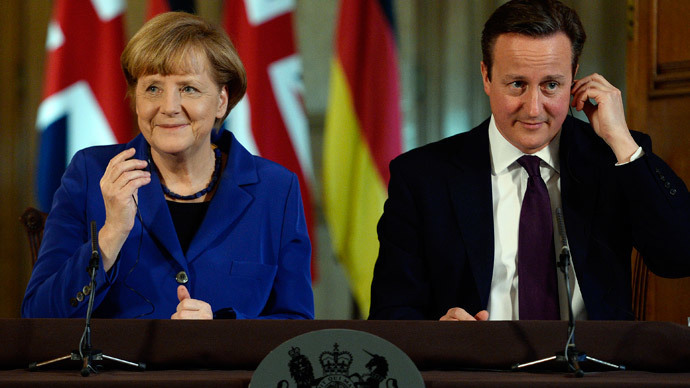 Merkel said she wanted to seek “common solutions” to the UK’s concerns over the EU. “I do not want to hide from how I very much like having the UK in a strong and successful EU,” she added. 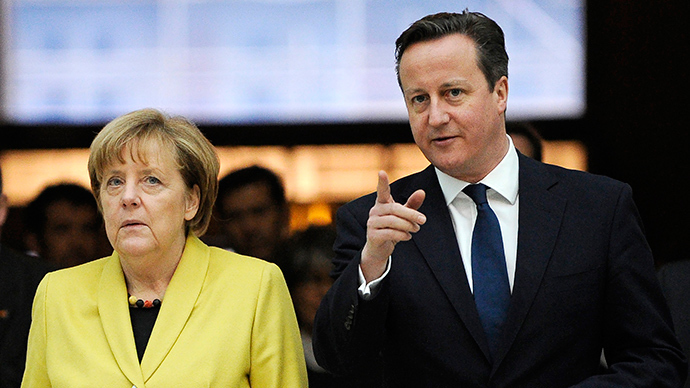 “I want to fix the problems in Britain's relationship with the EU, which the British people can find very frustrating. I am convinced this can be done,” he said. 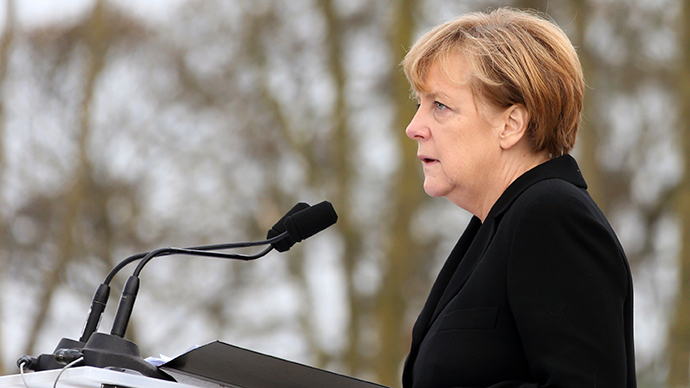 Asked about the prime minister’s plans to limit benefits to migrants, Merkel said the concern reflected a wider issue affecting all European member states. “We will look at this, we will talk about this, not only as two countries but also with our other partners. In each and every member state there's a necessity to address this issue,” she told reporters. “We have no doubt about the principle of freedom of movement being in any way questioned, but we also have to look at abuse of that. We are looking at legislation here, we want to see how this plays out at a local level. 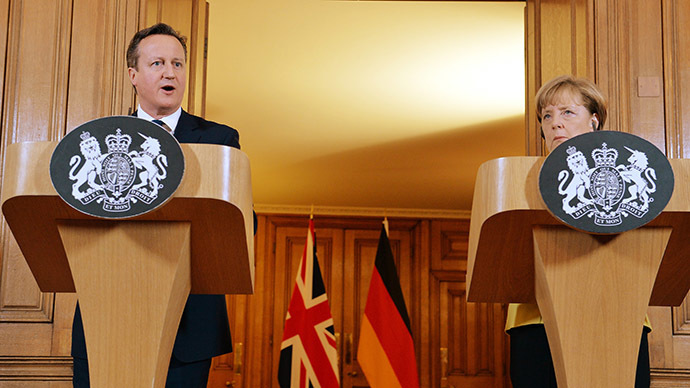 Tensions between Cameron and Merkel were raised last year when the chancellor berated the prime minister for advocating a cap on EU migrants. Merkel said such measures would go against the European Union’s principle of free movement – one of the union’s core principles. However, the PM said such measures would only be used to address the abuse of free movement, and that he wanted to host a referendum in which Britain would choose to be in a reformed EU. 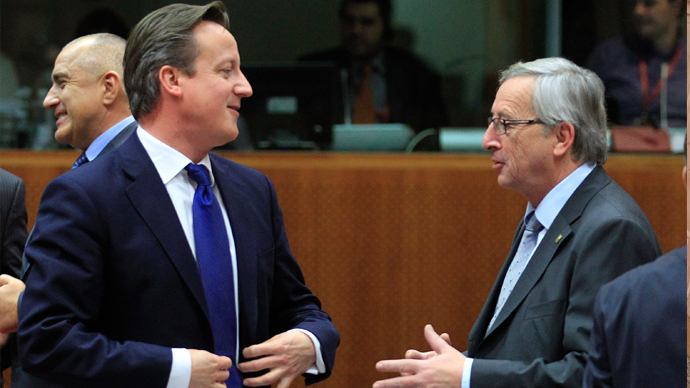 An in/out referendum on the EU is due to take place in 2017, should Cameron win a majority in Parliament in May.